Hang it! 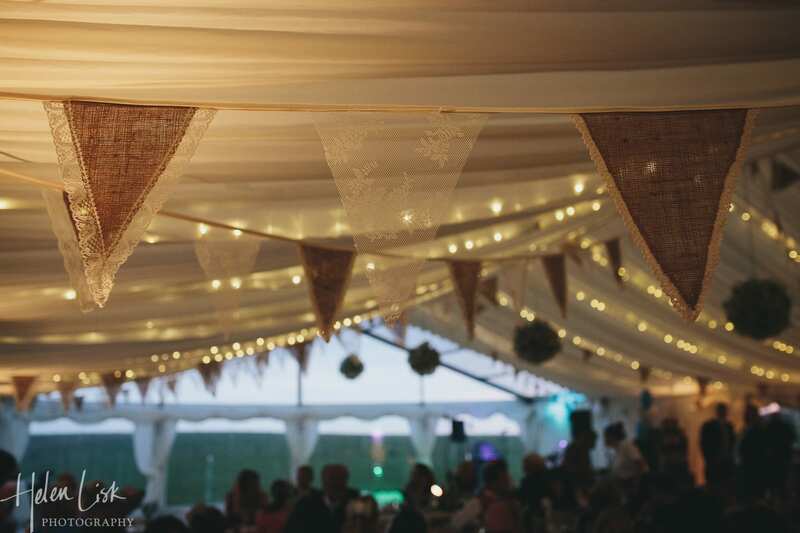 Get Inspired with Wedding Marquee Hanging Decorations. 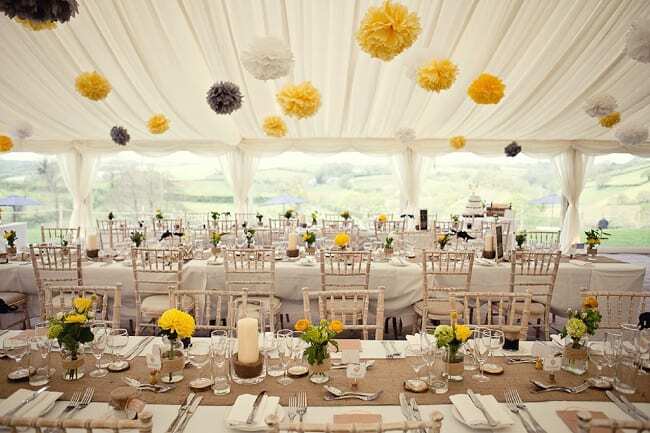 As a marquee company we love to see the loft space of a wedding marquee filled with hanging decorations. 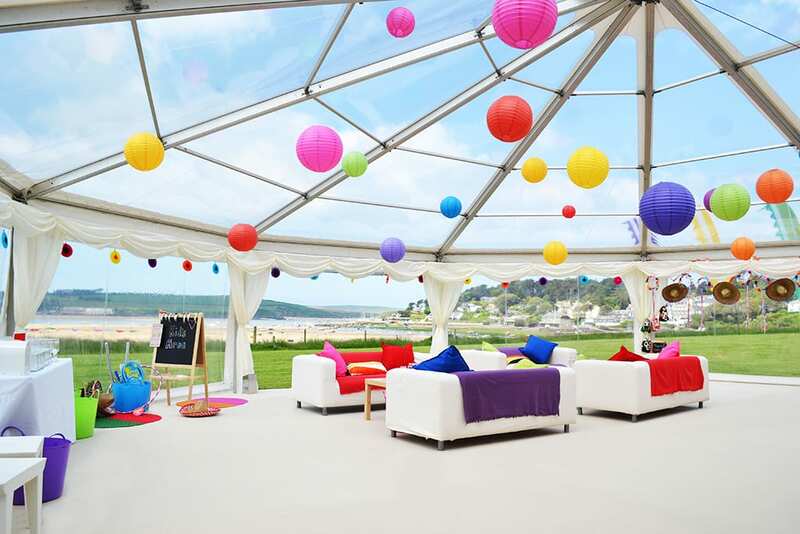 They add atmosphere, colour and a bit of fun too! 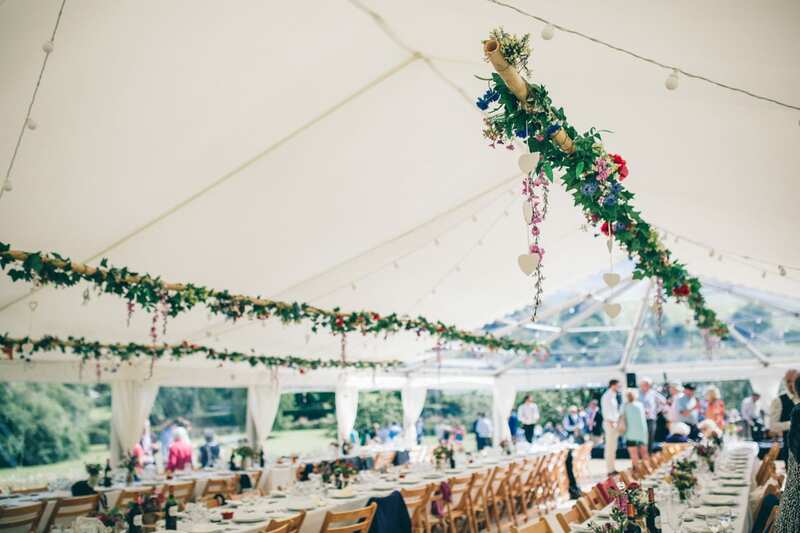 All sorts of decorations can be hung, from flower balls, branches and greenery, hanging lanterns, bunting to the more unusual, such as umbrellas – anything goes! 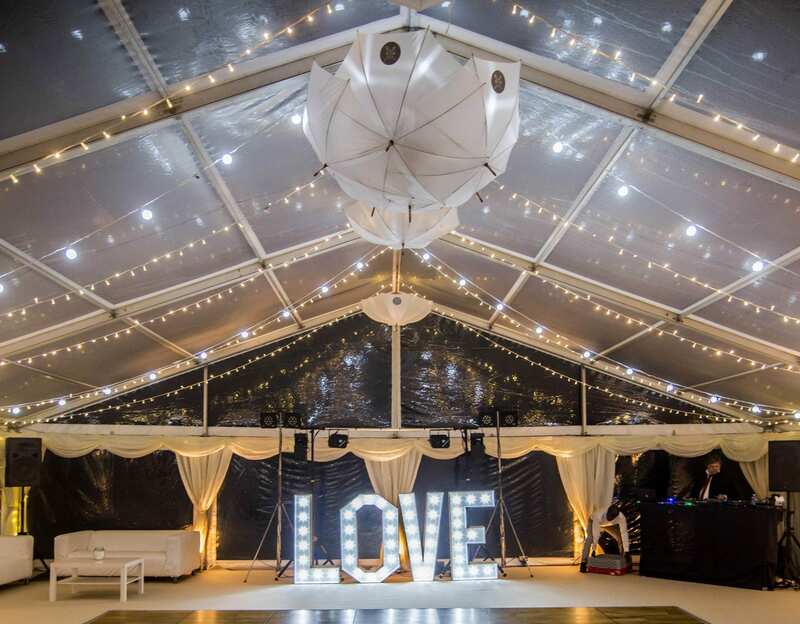 Its also a great way to bring your personalities into the day and don’t forget that lighting can also play a great role as well, bringing a bit of twinkle to the marquee as the daylight fades. 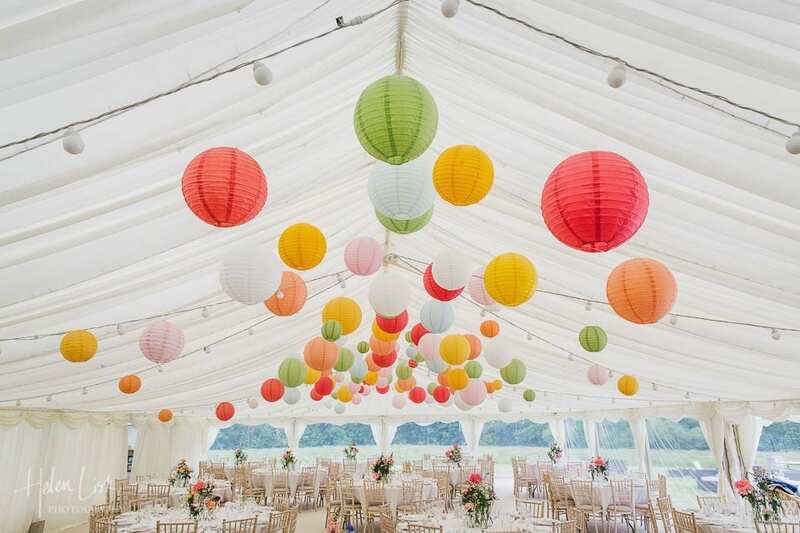 Hanging lanterns – add a fun colourful display. 3. 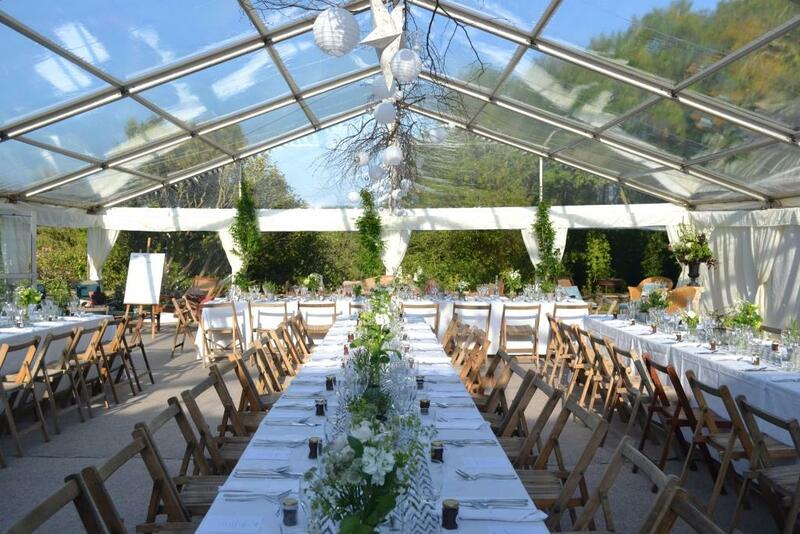 Hanging bulbs and greenery – a wonderful display running the length of the dining tables. 3. 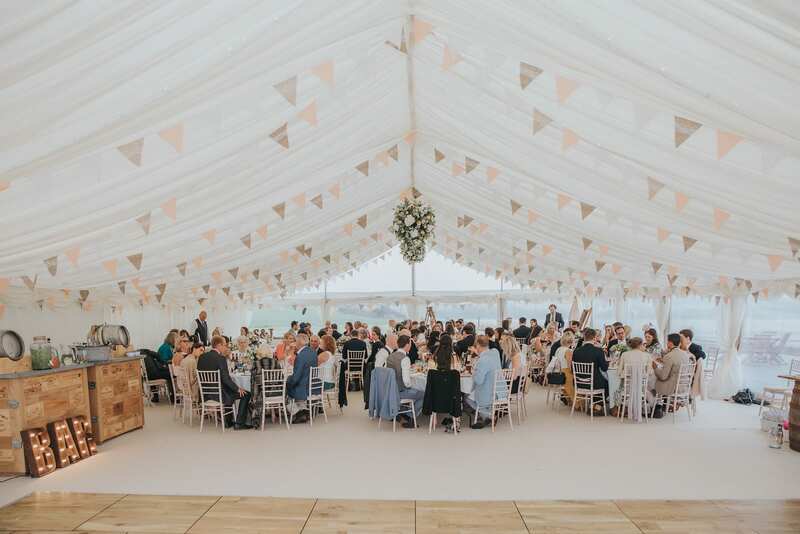 Bamboo poles are dress with ivory and flowers and hanging decorations, creating colour and interest in the lofty roof space. 5. 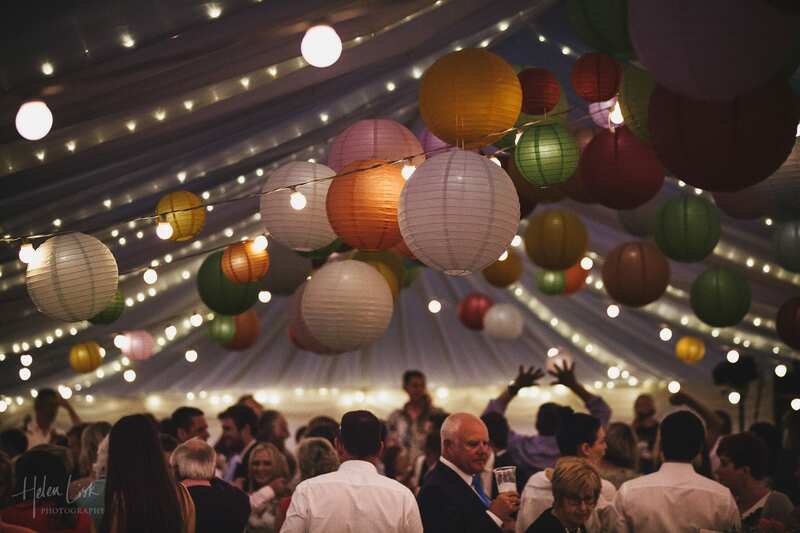 More paper lanterns – look great under the clear roofs. 6. 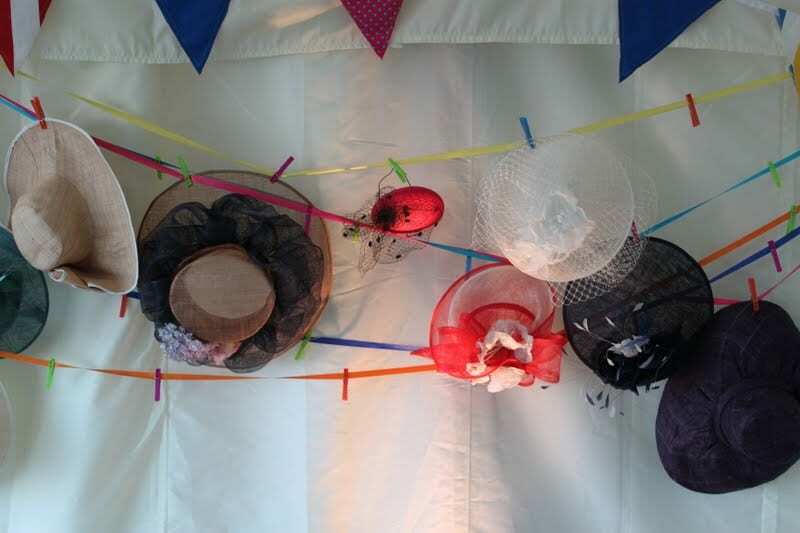 Bunting – a firm favourite! 7. 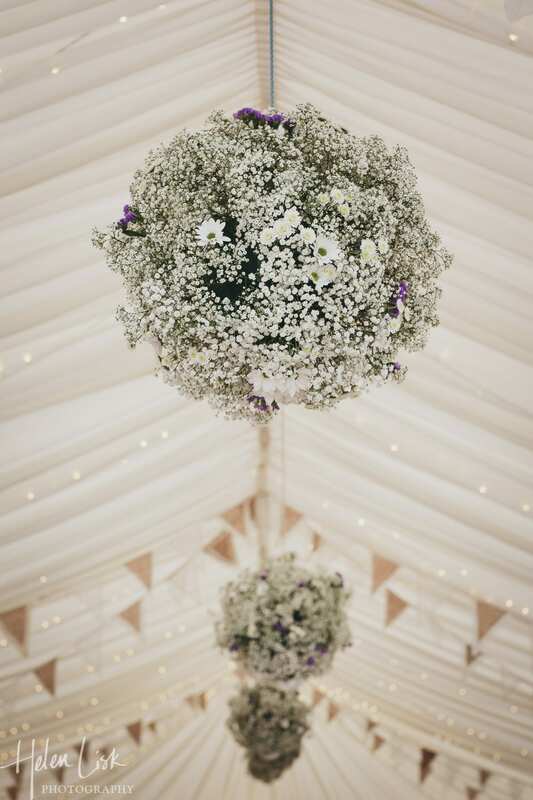 Beautiful hanging flower balls look amazing. 8. 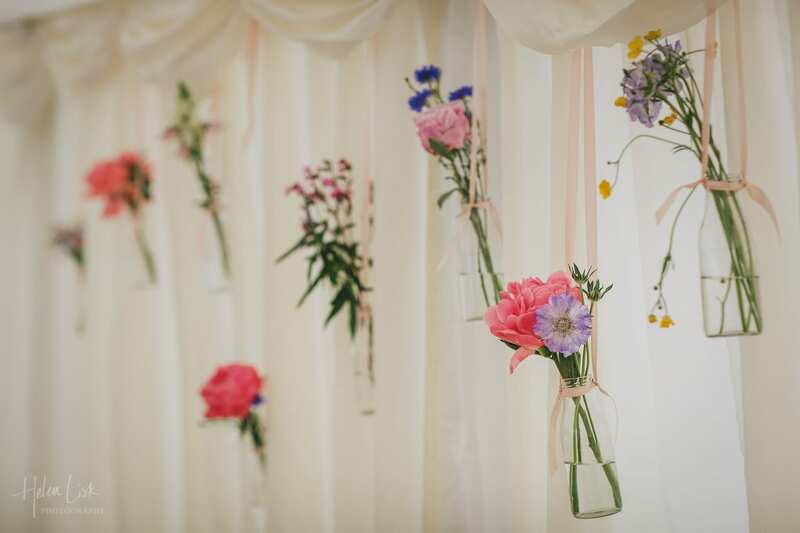 Mini milk bottle flower vases hung from the walls of the marquee – Love it! 9. Paper pom poms are a fantastic alternative to paper lanterns/flower balls, and can be a DIY project! 10. So delicate and beautiful – hanging flower are always spectacular! 11. 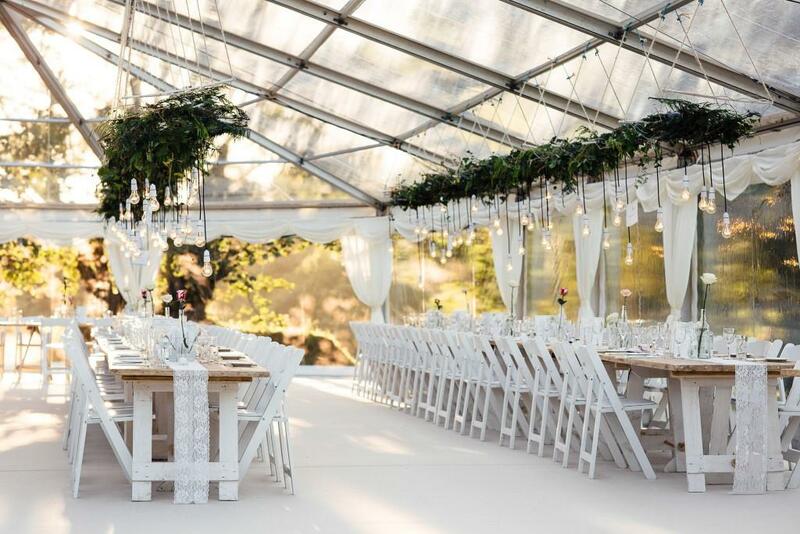 Twigs, lanterns and fairy lights, combine together to make a stunning display. 12. Hang up your Hats! 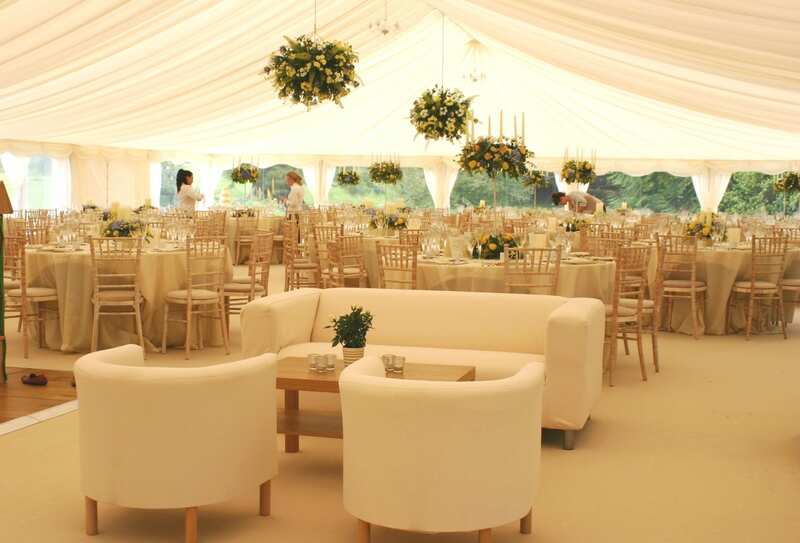 For further ideas on decorating wedding marquees take a look at our pinterest pages for a little bit more inspiration!